You'll be £4.99 closer to your next £10.00 credit when you purchase The Flatpack Bombers. What's this? Our vision of aviation in the First World War is dominated by images of gallant fighter pilots duelling with each other high over the Western Front. But it was the threat of the Zeppelin which spurred the British government into creating the Royal Flying Corps, and it was this 'menace', which no aircraft could match in the air at the beginning of the war, which led Winston Churchill and the Royal Navy to set about bombing these airships on the ground. Thus in 1914, the Royal Naval Air Service, with their IKEA-style flatpack aeroplanes, pioneered strategic bombing. Moreover, through its efforts to extend its striking range in order to destroy Zeppelins in their home bases, the Royal Navy developed the first true aircraft carriers. 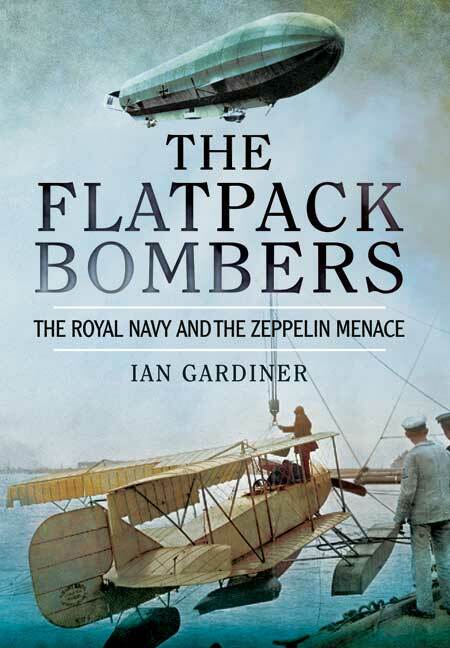 This book is the story of those largely forgotten very early bombing raids. It explains the military and historical background to the first British interest in military and naval aviation, and why it was that the Navy pursued long distance bombing, while the Army concentrated on reconnaissance. Every bomber raid, and every aircraft carrier strike operation since, owes its genesis to those early naval flyers, and there are ghosts from 1914 which haunt us still today. This is a rewarding read and goes some way to recognising the immense contribution made by British naval aviators to modern aerial warfare, demonstrating how to employ aerial weapons systems tactically and strategically.